This article identifies the fragility of relationships and ethical practices in the context of global commercial relationships and reflects upon the centrality of human relationships in commerce. The connections between people in global business are underpinned by ethical actions and outcomes and influenced by the degree that information and communication technology are part of the commercial relationship. Issues of trust, privacy, sharing, communication, security, anonymity, and learning emerge as relevant. 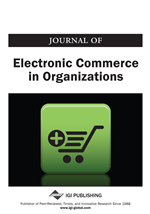 This analysis positions relational ethics into the field of commerce, exposes the critical issues, and makes recommendations for ways to work with and further develop the link between commerce and relational ethics at the global level, especially in the light of developing technologies and the growth of e-commerce.